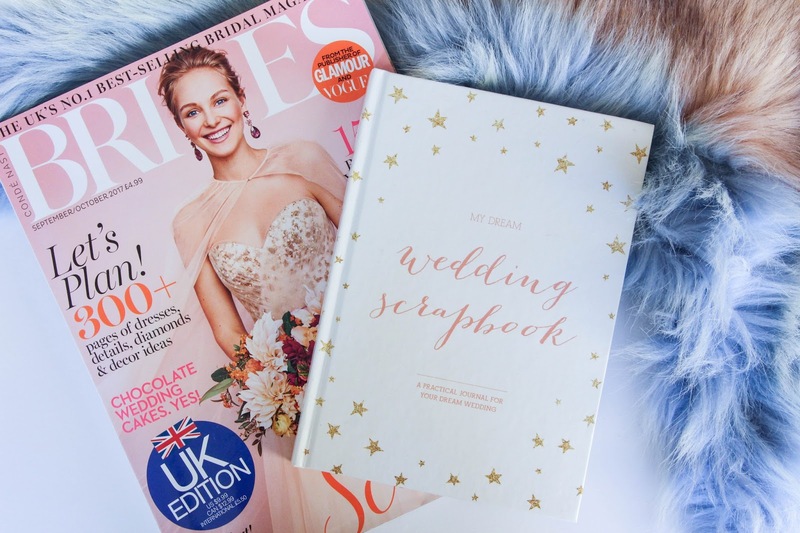 When a girl loves notebooks, bullet journals and all sort of diaries, the first thing that might come to her mind when she gets engaged is: Now I need a Wedding Planner notebook! The next question is where should she get it? I got my wedding planner maybe a couple of days after I got engaged and it was the best thing I did. I had really no idea on how to plan a wedding and I would always question myself when is it the right time to, for example, book the venue? Or when is it the right time to invite people or even look for my wedding dress? That ladies, would be the first and main reason on why a wedding planner is so needed. Because it will definitely help and guide you throughout the months, ensuring that nothing is missed. Inspiration mood boards, checklists, seating plan, honey moon planner, you name it. This wedding planner has it all. I bought my “My Dream Wedding Scrapbook” on Etsy. I find that there you have a lot more options than anywhere else. You can click here for more wedding planners at Etsy. One of my favourite aspects of this wedding planner is the monthly checklist, where it basically give you a time line and limit of certain tasks. That helps me keep my head together and reduces my anxiety. It is also so hard to keep track of all the venues you want to visit or all the wedding dresses shops you want to go to but with this planner, you can easily add all the details and even put the details of dresses you tried and rate them. I think this is going to be so helpful when I go wedding dress shopping although I also do think that at the end, my heart will tell me which dress to go for. Make-up is also a big focus on my wedding. I don’t think I trust anyone to do my make-up and several people that know me have said that I should do it myself and I agree. I am pretty reasonable when it comes to makeup. I have done my friends and family make-up for weddings or even when I go out with friends and they always love it and I feel very comfortable doing my own. I won’t want anything over the top, I want to look like myself and I know I will be able to do that with my basic – but good – make-up knowledge. Yes, I will be nervous enough on the day and doing my makeup might not help but I am sure I will be fine. Hopefully. So one of the features I also love from this planner is that it gives you a few pages where you can put the details of the make-up look you might be going for. You can list all the items you will be using (primer, foundation, brows) and add a photo of the make-up look too. I will probably try out new products and 2 or 3 looks so this will be great to look back and make a decision. 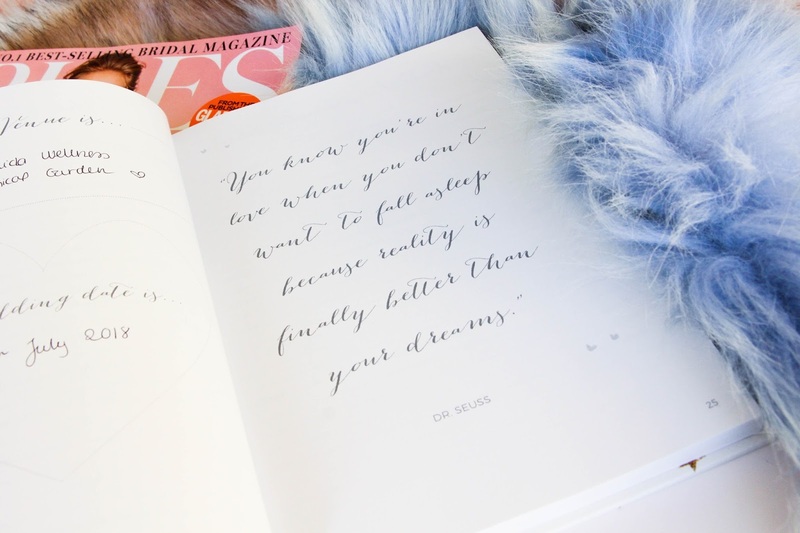 This journal is full of cool features and comes in very handy for any bride. I have been using it a lot and as time goes by I know I will reach for it even more. The Stationary Tracker is also something I will be using a lot, not only when I order stationary items but other stuff wedding related so I know what I am expecting. It also has a budget list where you can write the estimated cost and compared it after to the actual cost when you get to book things. This as made me realize that I was mistaken in many of them and most of the time it cost me more than I was expecting and that brings tears to my eyes but, at the end of the day, it is my wedding and I want it to be a fairy tail. 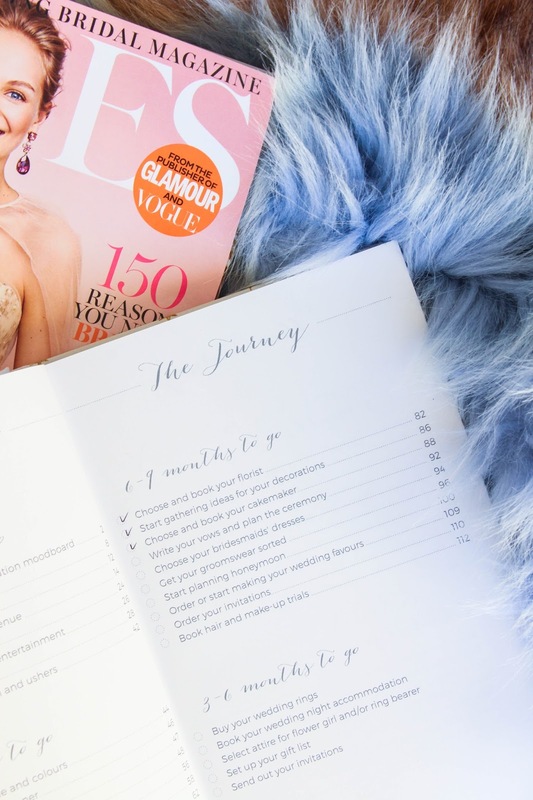 If you just got engaged and are struggling to put your ideas together and organize yourself with this wedding planning craziness, get yourself this wedding planner and you will be sorted. Look on Etsy if you are looking for something different, get yourself organized and start planning your wedding! Next Post L’oreal Paradise Extatic Range – Worth the hype?